7 Mate will broadcast the entire Liqui-Moly Bathurst 12 Hour live and free around Australia this February. Announced this morning on Sunrise, 7mate will also show the Pirelli Top-10 shootout live on Saturday February 4 in a special one-hour live broadcast. The shootout coverage will commence at 3:30pm on Saturday afternoon, while 7mate will commence its day-long live coverage of the Liqui-Moly Bathurst 12 Hour on Sunday, February 5, at 5:30am. 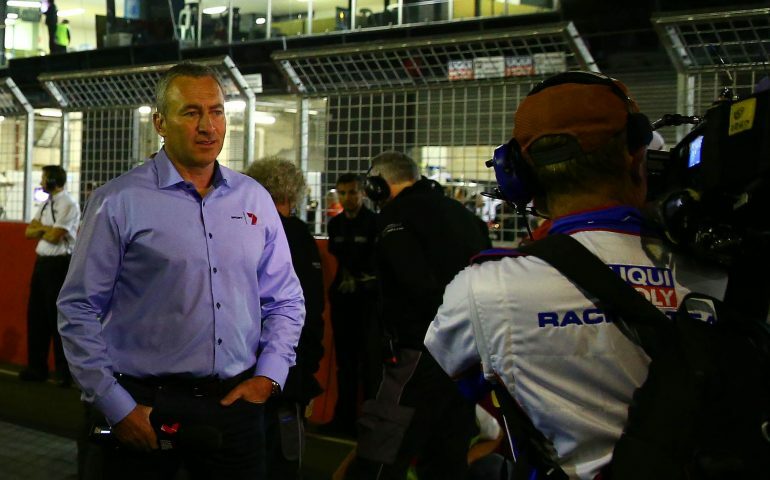 Mark Beretta will host the coverage, while RadioLeMans.com commentator John Hindhaugh will be joined by Sportscar and GT racing expert Graham Goodwin and 12-hour regular Richard Craill in the commentary box. Chad Neylon and Shea Adam will provide pit lane coverage alongside Beretta throughout the two days. The 2017 Liqui-Moly Bathurst 12 Hour is set to be the most competitive yet, with a field of more than 60 cars comprised of 15 brands making up a world-class field of exotic GT vehicles. International teams and drivers will compete against Australia’s best, including local stars of the Virgin Australia Supercars Championship including Craig Lowndes, Shane van Gisbergen, Jamie Whincup and Mark Winterbottom. Supercars ace Garth Tander joined Sunrise this morning to help preview the event, confirming his participation as part of a strong factory-supported attack from Audi on the race. “We are looking forward to once again be heading to the Mountain for this great event. It promises to be a great race. We have the best drivers in awesome cars on what is one of the world’s most challenging circuits. It will be a great day,” said Saul Shtein, Head of Sport for Seven. “The Seven Network is a great partner of the Liqui-Moly Bathurst 12 Hour and has been a significant part of the growth of the event over the last few years,” added Event Director John Casey. “Their expanded coverage this year will see 13.5 hours of coverage across two days for the first time, including the Pirelli Top 10 shootout on Saturday, and the entire Liqui-Moly Bathurst 12 Hour live and free on Sunday. A free live stream available via the Liqui-Moly Bathurst 12 Hour website will also allow fans around the world to follow the action live. All LIVE+FREE on 7mate around Australia.